Rep. Mia Love, R-Utah, has introduced legislation that would make birth control access easier and more affordable for many women. The bill, called the Over-the-Counter Contraceptives Act, would encourage drug companies to apply for Rx-to-OTC status for birth control drugs by waiving their Food and Drug Administration filing fee and accelerating the approval process. This bill should be a commonsense bipartisan effort, one that American women should applaud. Conventional birth control drugs have been around for decades. They are safe and effective, and women should not be required to visit a doctor and/or get a prescription to get routine birth control. Importantly, the bill would not change the FDA's standard for safety and efficacy for these drugs or others. The Over-the-Counter Contraceptives Act, sponsored by several Republican legislators, runs counter to an unfair narrative that Republicans oppose birth control. This narrative is leftover from the debate over the Affordable Care Act, or Obamacare, which required practically every insurance policy in the nation to cover all FDA-approved forms of birth control with no copay. Republicans oppose this policy approach and the ACA generally, so naturally women's rights groups accused them standing in opposition to greater birth control access and won't give up that line of argument now. But the ACA policy on birth control was misguided for many reasons. First, there was an inevitable culture clash: Not everyone uses birth control, and in fact some Americans, including devout Catholics, find it morally unconscionable. This issue led to more than 100 lawsuits, even ultimately reaching the Supreme Court in the Little Sisters of the Poor case, named Zubik v. HHS. Second, this policy of no-copay birth control does little to help women who do not have health insurance. Despite the ACA's effort to maximize insurance coverage, approximately 30 million people (about half of which are women) were left with no coverage. To get birth control, uninsured women may have to shoulder not just the costs of their pills, but also the cost of a doctor visit (to get the prescription). Third, for women who do have insurance, the Affordable Care Act's policy didn't really make birth control or preventive care visits "free." We all still pay for these costs, but they are hidden in the cost of (now much higher) insurance premiums. In contrast, the Over-the-Counter Contraceptives Act would actually reduce the time and cost associated with accessing birth control drugs for many women. If drug makers respond to the incentives in the bill and more contraceptives are made available over the counter, then women can conveniently buy birth control as they need it, without having to contact a doctor's office and/or order and wait for prescription refills. Progressives sometimes fear that over-the-counter birth control would result in women paying out-of-pocket for these drugs, and they point out that some women do not have the means to do so. Actually, making drugs available OTC will help low-income women most of all. Because of market competition, moving drugs to OTC can result in significant cost reductions. For example, when Claritin went from prescription-only to OTC, the price of the drug fell 50 percent within a year. The Over-the-Counter Contraceptives Act would also allow women to use Health Savings Accounts to pay for OTC drugs (of all kinds), which would encourage women to save for this expense and reward them with a tax break when they do. There are also government programs and private organizations that help poor women who truly lack the resources to buy birth control, all of which would continue if it became available over the counter. Perhaps most important, making access to birth control more convenient could help women avoid unplanned pregnancies. 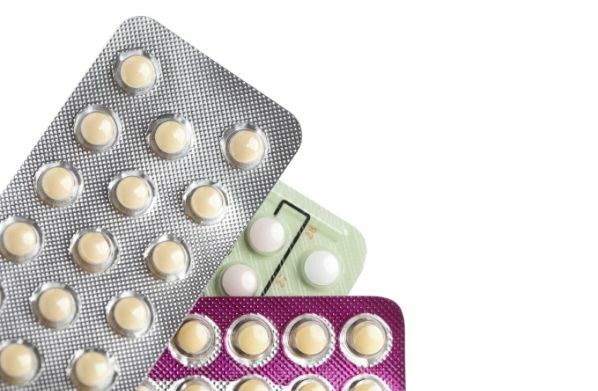 A study from the University of California at San Francisco and Ibis Reproductive Health estimates that OTC birth control access could lead to as much as a 25 percent decline in unplanned pregnancies. Americans, particularly the millions of women who use birth control daily, would benefit from the Over-the-Counter Contraceptives Act.